These days it is unusual for someone to take on large, long-term projects, particularly, in an age of short attention spans, churning news cycles, and quarterly business returns. Yet, this is my predilection. Most people find it unwise, ridiculous, or even crazy to spend months, let alone, years developing an idea to see if it will work. Hmm… have I stumbled on the definition of a creative (or worse yet, a dreamer)? Regardless, there is something in my DNA that propels me through long slogs of research, explorations of the unknown (at least to me), and vaguely envisioned, time-consuming ideas. Counter to all my economic training (a M.S. in Econ.) and natural aversion to risk (trust me flip-flops are dangerous), I embark on involved projects which demand gobs of time to develop and share (to feed my soul). This predilection began in earnest a dozen years ago. 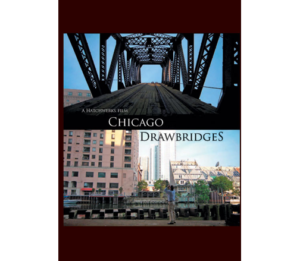 I was told by geographer, professor, photographer, author, and friend Dr. David M. Solzman, “Patrick, writing a regional history book is no way to get rich.” Nonetheless, I persisted and after eight years my first book Chicago River Bridges was published. Gratefully it garnered three book awards and resonated with historians, engineers, architects, and fans of the built environment. As David predicted it did not yield significant monetary success. (I now live under a bridge. *) However, it did generate a myriad of book talks, tours, and speaking engagements, and a wealth of rewarding, never imagined life-experiences, while also selling a few thousand copies (which is pretty good for a regional history book). A good book can be a powerful calling card and it offered the respect and recognition of many complete strangers. The project created a PBS documentary Chicago Drawbridges (which was actually released before the book) and gave me the pleasure of working with director and co-producer Stephen Hatch (hey, dude give me a call). It also prompted my children’s picture book series introducing STEM/STEAM and how things work for kids. The resulting school visits have been great fun, but alas, writing children’s books is also no way to get rich (with a few rare exceptions). My attempts did not generate record-breaking sales, huge royalties, or national publicity. Ah, the ying and the yang of measuring success and time well-spent! Possibly these experiences and challenges refined my instinct to trust and identify (only modestly) good ideas and unique niches in a busy marketplace. Is it impressive? (Like hanging-ten while surfing in a birdbath!?) Nevertheless, I have enjoyed the journey and maybe I just need to relax. Shouldn’t this be reward enough? Yet, I cannot help rising to new challenges! So “The Next Challenge” is what, exactly? Well although it seems like “everyone” is doing it, these days. I am embarking upon a PODCAST! I know…I know…. why should anyone care… about yet another PODCAST(?) that they probably won’t have time to listen to anyway???!!! Of course, it will take a lot of time (for me, but not for you), but it will be high-quality (in sound and content) to enhance the public understanding of Chicago. I am not doing this alone, and my partner in this project is fellow author, aviation historian, and all-around good-guy Chris Lynch who will co-host the podcast. Thankfully, Chris has real radio experience (sure, it was back in college, but that counts!) and we have had fun bantering back and forth about history thus far. And, we know a good story when we hear one! So (we promise) it will be both entertaining and informative. We are very excited to soon finish a clean edit of this next challenge. Now you might ask, “How hard can creating a podcast be?” Well… now amid editing, gathering tidbits of sound, like the chirp of cicadas, blues riffs, or the Chicago L, and having reading numerous articles and a book on podcasting we realize it will be a ton of work (for us, not you)! For example did you realize each episode of Radiolab or This American Life takes months and months to develop, refine, and produce? Of course Ira Glass and Jad Abumrad also each have a staff, an established platform, and distribution. We have none of that and are undaunted, because we think this could be really BIG! Our initial podcast series will be entitled, “Laying the Foundation,” to deliver a chronological audio history of Chicago from its begin up into the 1930s or ‘40s in approximately a dozen, one-hour episodes. 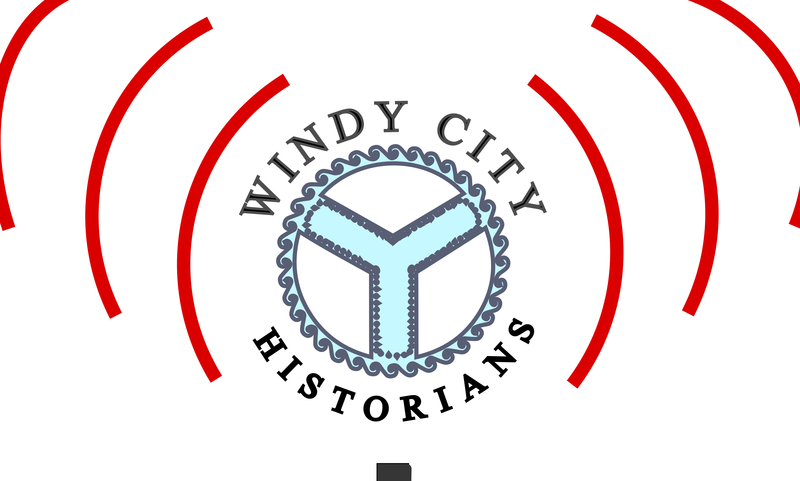 The Windy City Historians podcast will feature interviews of various experts, authors, and historians to tell great stories. The podcast will be called Windy City Historians, which we hope will continue on with more stories and many more episodes beyond the first series Laying the Foundation. Oh and by the way, we are looking for funding and sponsors (I’m just saying). The first two episodes are ground-breaking (I swear) and will reveal brand-new Chicago history entitled, “Who Was Here First?” and “The Place the Indians Called Chicagou.” These episodes will reach back and debunk 300 years of Chicago history! We aren’t kidding! 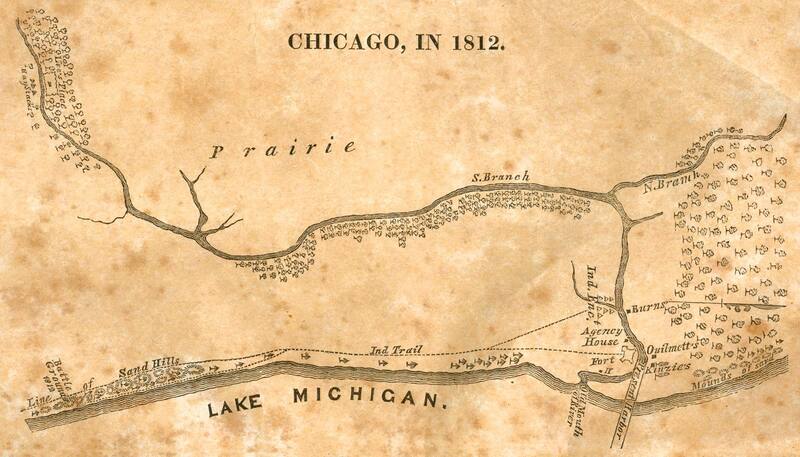 Most people think Marquette and Joliet were the first documented Europeans in Chicago -OR- that the original Chicago portage route flowed past the site of Fort Dearborn or today’s Michigan Avenue Bridge. Be prepared to be amazed as almost every history book referencing these events is completely wrong! 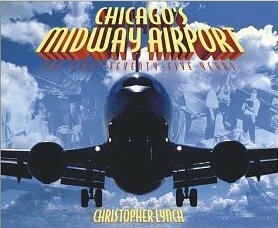 This includes Chris’ book on Chicago’s Midway Airport and my own book on Chicago River Bridges. And trust us, this new history can be proven in court!! Of course, when we started this adventure Chris and I never intended to flip Chicago’s origin story on its head! We simply thought we would share some great Chicago history and help people better understand how we got to this moment and place in time. Heck, we figured simply talking with other Chicago historians would be great fun and we could record it and offer nice bite-sized capsules of Windy City history. We hope you will take a listen and find out more about Chicago! The first episode is expected in early-2019, as we plan to launch the first release on March 4th — the anniversary of Chicago’s incorporation as a city (some 182-years ago) in 1837 . Get updates and announcements about the podcast and join the other 5K+ members (and growing) on our Windy City Historians Facebook group page. It also has some other great Chicago history. * I learned any building structure is really a basic bridge structure. 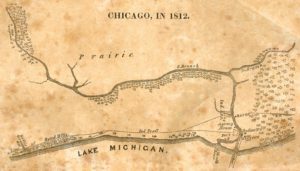 This entry was posted on Friday, September 14th, 2018 at 10:38 am and is filed under Chicago, Chris Lynch, history, Patrick McBriarty, podcast, stories, the place the Indians called Chicagou, Who was here first, Windy City Historians, Windy City Historians podcast. You can follow any responses to this entry through the RSS 2.0 feed. Both comments and pings are currently closed.